There is something about halibut. 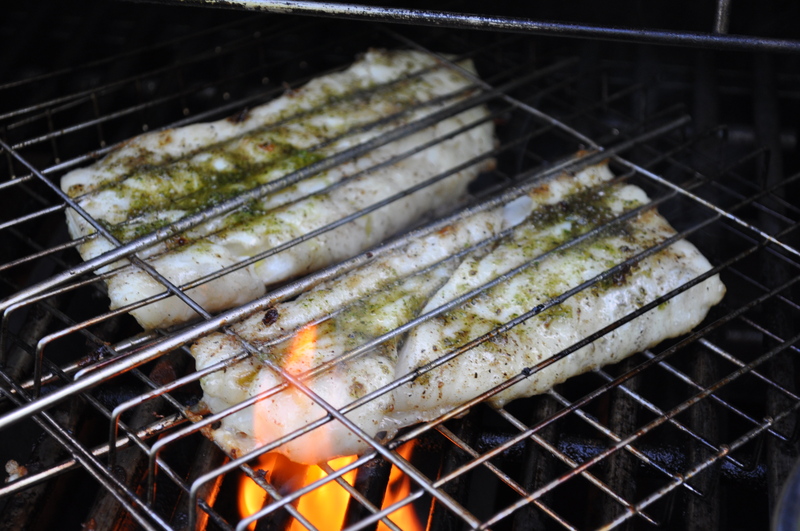 One of my favorite fish to grill. And we can’t go to Annapolis to visit family without stopping at Annapolis Seafood for something. It was a stop for shrimp but the halibut was calling my name. The shrimp, also bought, was used today in a shrimp curry with Thai Spices Matsaman curry, fragrant with cumin and cardamom. The halibut, grilled last night with some Friends and Farms vegetables. All seasoned with one of my pesto concoctions, defrosted from the freezer. 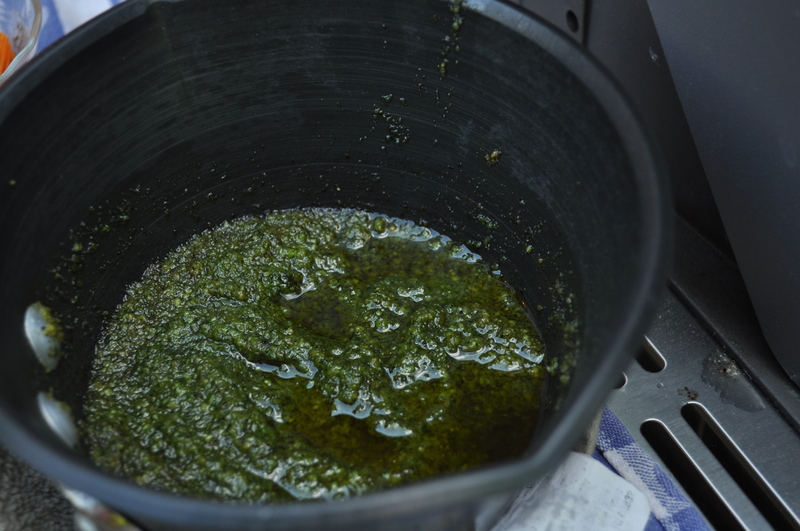 This one was a mixed greens pesto, made last summer. Since it is almost garlic scape season, I need to finish off the last of the pesto containers from the basement freezer. To complete that local flavor. 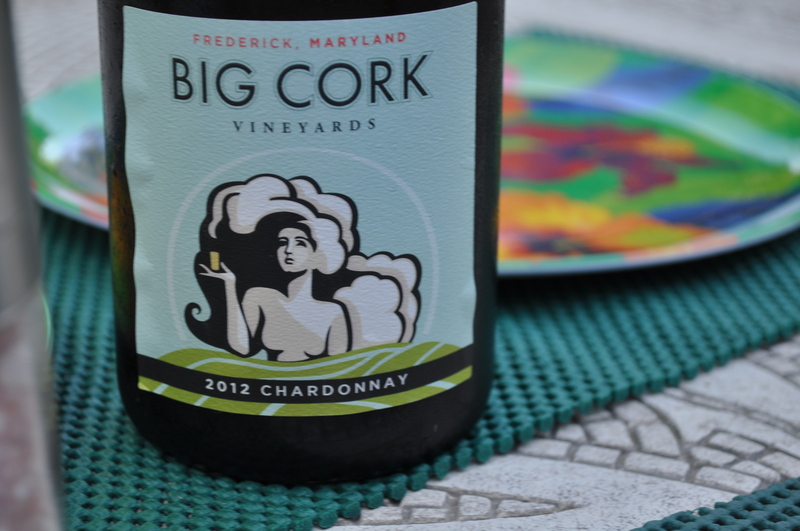 Maryland chardonnay, from Big Cork. Here’s to many more locally inspired and small business supplied dinners. 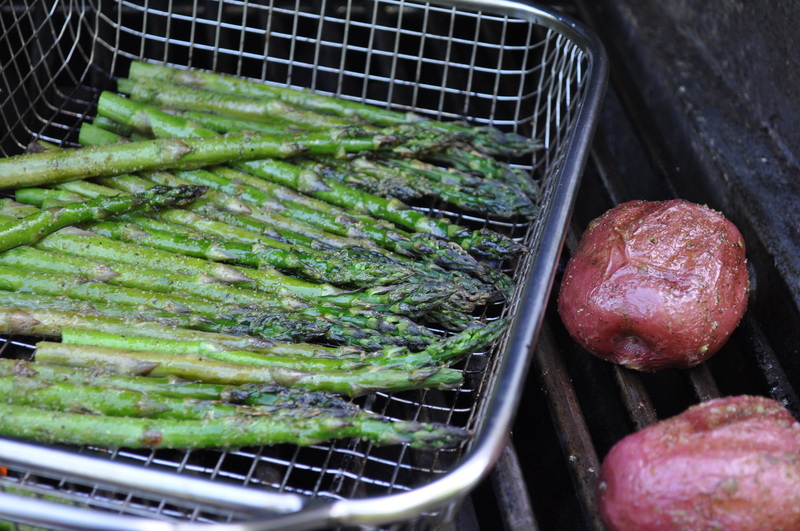 It’s grilling season, big time. Posted in Farmer's Markets, Farms, Food, Friends and Farms, Gardening, Howard County, Local Businesses, Locavore, Real Food, Weather, Wine and tagged cooking, farmer's markets, Food, foodie, grilling, Howard County, local businesses, Locavore, MD Wine, real food, weather, wine. Bookmark the permalink.